9:00 AM: I know, I know, most of my sisters get up waaaaayyyyy earlier than I do, but let’s just say I need my beauty sleep. Hmm, maybe I’ve been spending too much time around Crystal . . .
10:00 AM: Baking time! My dream is to be a professional baker, working in a pâtisserie in Paris. (I may need to change my wake-up time for this to become a reality, however). For my first treat, I whip up a batch of vanilla éclairs. Lindsey jumps in and sneaks two right out from under my nose – and then shoves them in her mouth. Le sigh. 12:00 PM: Part of my duty of being the master chef in this house is to make everyone lunch. However, feeding seven other girls is nearly impossible, since they ALL WANT SOMETHING DIFFERENT. McKenna puts in a request for grilled cheese sandwiches, Crystal orders a Caprese salad, and Tessa wants pizza. I decide to make chicken noodle soup with sandwiches. Take it or leave it, as they say. 2:00 PM: I head to Tessa’s first ballet class with her. She’s really excited, since finding her something to do here in Alaska has proven to be very difficult. We’ve tried gymnastics, dog training, etc., etc., etc. I’m hoping this works out for her. I bring along rhubarb crumb bars as a post-lesson snack. 5:00 PM: Dinner time! I cook up some pad see ew, a delicious Thai dish. It’s my family’s absolute favorite. You guys should try it sometime! Bonbon gets underfoot in the kitchen as I spill a pan of water on her. Fortunately, it wasn’t boiling hot water . . . that would have been bad. Instead, the floor gets a thorough cleaning. While Molly is helping me clean it up, she spouts of random facts about how in Israel, the women clean their floors by dumping a pot of water on them, and then all the water flows into a drain on the floor. Which is sort of unhelpful. 7:00 PM: I take Bonbon for a walk, accompanied by Morgan, Chocolate Chip, and Cooper. Because of the Midnight Sun, we can still enjoy sunlight even in the evening hours. However, we’re losing five minutes of sunlight a day. 😦 Soon it’ll snow, and then we’ll have Halloween and . . . Christmas! 10:00 PM: I tuck myself in bed and page through a new cookbook. I’m considering going Paleo, but then I would have to give up real sugar. No can do for me. Good night, guys! Hiiii, fellow travelers! It’s Grace again, with our last post from Texas! 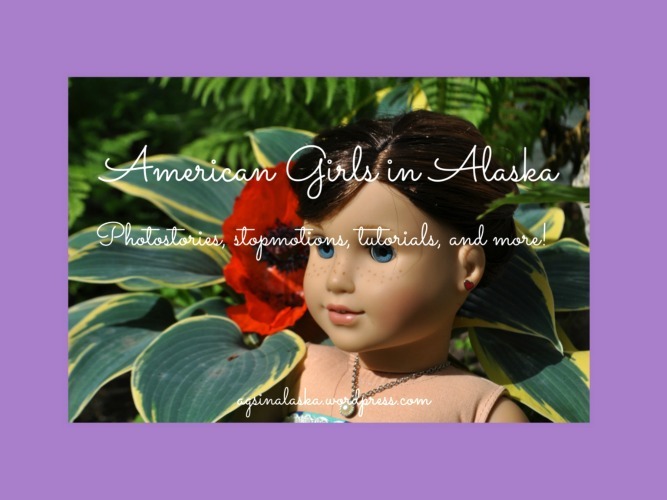 A big thank-you goes out to AGs in Alaska’s Texan friend, who helped her take some of these pics. Now, onto the photostory! Aha! What is that I spy? A wild beast of Texas! And so another journey ends, my friends. We have returned to Alaska. I hope you have all enjoyed “traveling” with me, Grace – the fearless adventurer. Heyyyyyy, guys! Yes, we’re still in Dallas – and this time at the Dallas World Aquarium. There are so many cool animals here! Anything from manatees to sawfish to tarantulas . . . okay, those weren’t very cool. In fact, I avoided eye contact completely. And to brighten your day, some funny things AGs in Alaska said on this trip! PENGUINS!!! Cute but smelly . . . Some shark . . . I hope you enjoyed this post! There may or may not be a bonus post this weekend – AKA, the last post for the Trials of Tessa! Hello, peoples! We are back! Sorry for the delay in posting. I believe you all got a Message from Moe? Yes? Okay, good. We will be showing you the outfits and accessories I got in a later post. I hope y’all enjoyed!